The Health and Human Services Department’s minority outreach office, beginning early in the Trump administration, removed or relocated online materials designed to orient minorities and non-English-language speakers about benefits under the Affordable Care Act. So concluded the Sunlight Foundation’s Web Integrity Project, in the latest in its series monitoring subtle and often-unannounced changes to agency websites. In a study of HHS’s Office of Minority Health, researchers reconstructing past Web pages found that from January 2017 to January 2019, that office removed Obamacare-related webpages, links and references. Acknowledging that different agencies have different interpretations of their obligations for making government materials more readily accessible to non-English-speakers, the monitors questioned the intentions of the website changes. Several routine links to the Affordable Care Act that HHS had provided under the Obama administration were also removed, such as those in the Minority Health office home page's “strategic priorities” section and “what we do” dropdown menu. 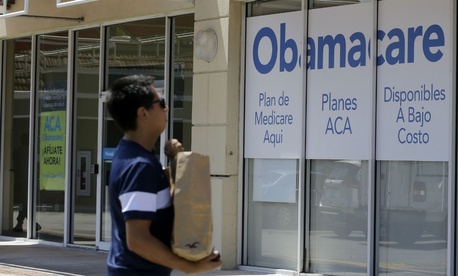 The Office of Minority Health, established in 1986 under the Reagan administration, is given an official role in implementing health insurance reform under the Affordable Care Act statutory language, the analysts pointed out. Asked for comment, an HHS spokesman said, “As is standard website management practice, the Office of Minority Health routinely reviews and updates the content on the OMH website. We also continue to make improvements to the site by reorganizing content on the site,” Office of Minority Press Secretary Tony Welch said. He said some of materials cited by the Web Integrity Project have been “restructured” and made available.